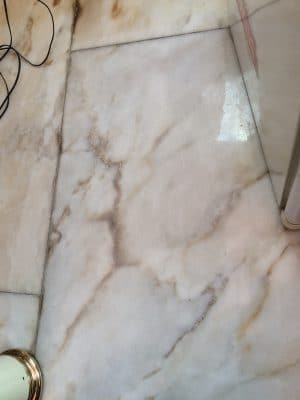 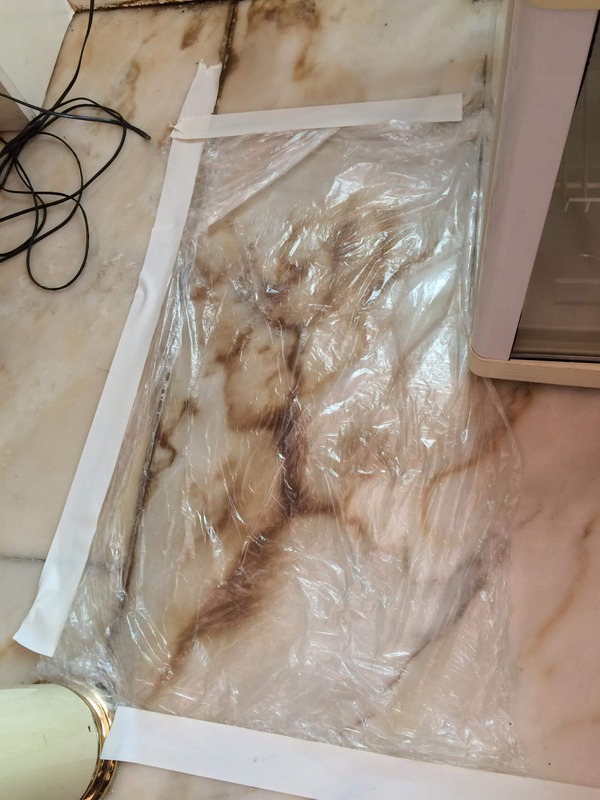 Marble floor at a private residence in north London has suffered a large humidity stain as a result of a burst water main under the house. 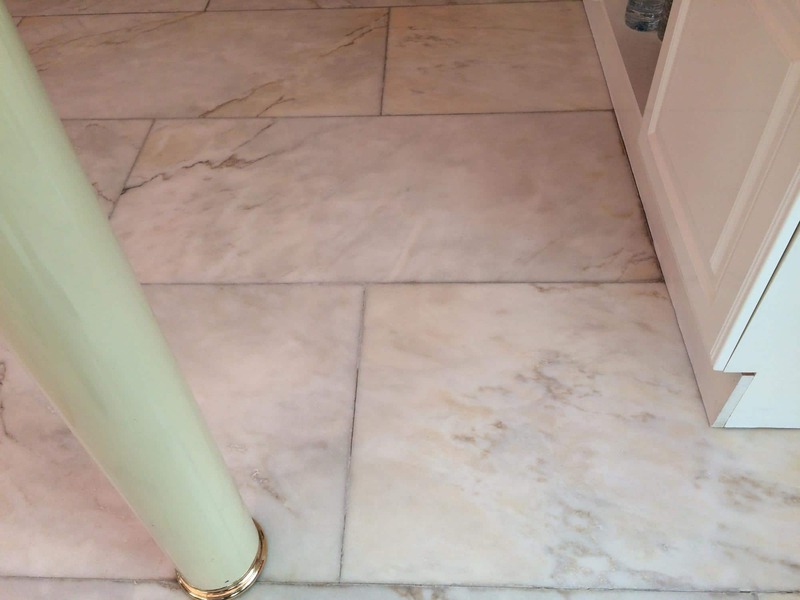 The insurer could not find a solution for the stained marble problem for 4 years. The owner said he was "very impressed and couldn't believe we've done it!" 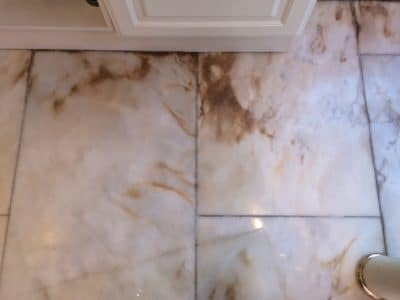 Floor being treated with a special stain drawing formula. One marble tile after a demonstration of one session of stain removal. 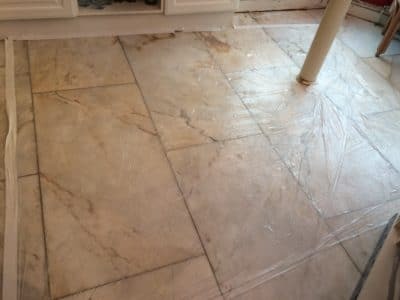 Floor tile after the demo of repair shows a massive improvement after one treatment over 24h period. 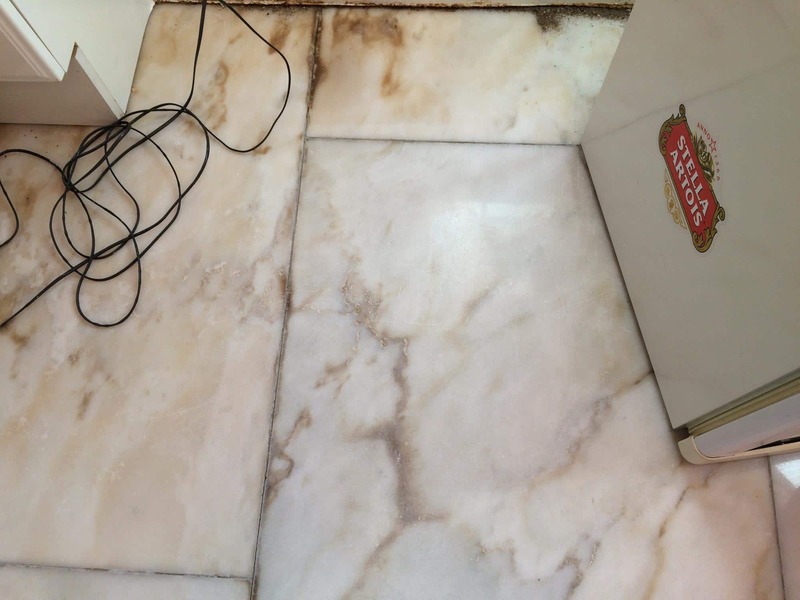 Brown contamination stains are very obvious near cupboard. 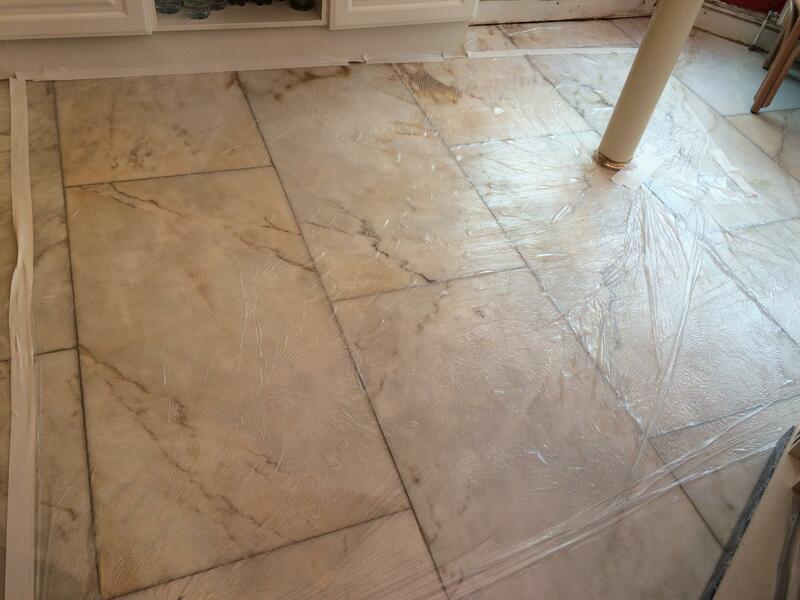 The floor is being treated and covered with plastic sheets. 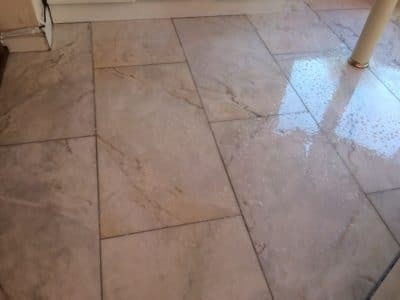 After the treatment sessions, the floor is washed with special cleaners. 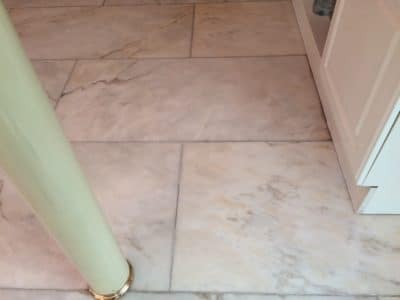 The dark brown stains near the cupboard are gone and the stone is back to its original colour.